I’m sitting in a small den in Southeast Portland that is painted lavender and hung with iconic sundries. Intuitive consultant Suzanne Rollow (she resists the grandiose moniker, “psychic”) closes her eyes. I close mine wondering what brought me here. Right. No one else can be trusted these days to talk about the economy. Over the past three years, the U.S. economy flew off the tracks and along with it Oregon. There was the housing crisis in which no one could say definitively who owned their mortgage; the credit crunch in which banks were given free money but would not lend it; the overt failure of the financial system in which Wall Street once again reminded us that it cares for none but its own and owns Washington; the once-a-decade failure of credit rating agencies, building on their Enron and Worldcom successes and still well compensated by the businesses they objectively scrutinize. Yet as concentrated as these blue jays were in Lower Manhattan, Main Street shared this fortune disproportionately in a flood of massive job losses. Among the victims of the financial crisis, Oregon was thehardest hit. Unemployment soared to a high of 11.6 percent, foreclosure rates trailed only Nevada and Florida. Bankruptcies toppled business like dominoes. 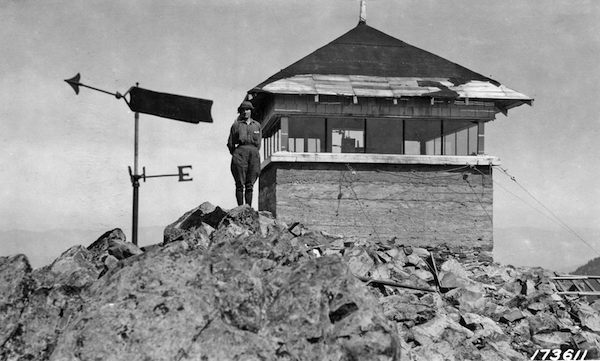 While budget experts say that Oregon’s general fund revenues now face the steepest decline since the Great Depression, this shouldn’t lead to our own clinical depression. Oregonians are an enterprising and enduring lot. After all, didn’t we survive the 1991 recession, another massive budgetary shortfall in 2001-2002 biennium, the Bhagwan Shree Rajneesh inductees, Tonya Harding and other hardships? In fact, it turns out that our state revenue outlook changes with the economic winds. For example, in the same Governor’s report, we see that in 2007 as the housing market crashed and banks faced a massive liquidity crisis, the skies were still blue way out in Oreegawn. That same year, “state budget officials prepared a long-term forecast of the state’s expected revenues and expenditures through 2020 that painted a relatively optimistic picture of the next decade. To better understand why Oregon contracts malaria when the U.S. catches a cold and where we’re headed from here requires a primer on the state economy and a less conflicted perspective. Given the number of bankers, money managers and economists who swore before God and Congress that, “Hooey! I did not see this one coming,”—though they were well hedged just in case—I sought an alternative economic analysis for Oregon’s future. By alternative, I mean, of course, the consultation of a spiritual economist. Dubious Ph.D.s have argued in thick volumes that all women are intuitive, but none so much as Suzanne Rollow. Suzanne came highly recommended from Portland friends whose spirituality runs as deep as my skepticism. Nevertheless, possibly being mindful of my busy schedule, a spirit quickly made herself available to talk to me through Suzanne about the future of Oregon’s economy. First-time caller. Anxious listener. Mercifully it was the Angel of Good Fortune who appeared first in the form of a tarot card of a blond goddess holding a lion. She showed Suzanne an image of a long black asphalt highway that looked a lot like Interstate 5. The roads that branched off of I-5, not I-5 itself, were painted in gold! “Prosperity will come to these alternative places first,” Suzanne interpreted. Those alternative roads off of I-5 led me on a microeconomic fact-finding mission. What I found on these streets paved of gold was strength, innovation and hope. But first lets take a stroll back along the historic path of the Oregon economy to see where it may lead in the near future. On December 30, 1951, Oregonian financial editor, Frank Barton, gloated about Oregon’s economy in his Portland-and-the-rest-of-the-state address. “Portland and Oregon experienced another banner business year in 1951 with new records in lumber production, industrial pay roll and farm cash income sparking the economy of the region” Barton wrote. “It was a year of top flight achievements in many fields of activity and money, life blood of business, was more plentiful than ever before.” Tourism brought in record revenue, exports soared to their highest point and railroad passenger traffic jumped 15 percent. That was the old Oregon economy, where lumber was king and local exports and manufacturing tied in nicely to federal spending on the Korean War. At that time, timber-related business accounted for nearly half of Oregon’s gross state product, the total value of products and services, with broader manufacturing and agriculture the other major contributors. The flammable beehive hairdo was high style and the economy buzzed along. Timber made perfect sense for Oregon. Federal forest land accounts for almost 29 percent of Oregon’s surface area and 60 percent of Oregon’s forests. That’s great for skiers, hikers and mountain bikers, but a land that lives free of state and county taxes is anathema to schools and basic public services when it’s no longer producing timber. When the timber industry crashed in the ’90s, it left a huge hole in the state and a raft of Oregon cities and counties in the lurch. To help offset the loss of tax base, the federal government began making timber payments to states that, like Oregon, were highly reliant on timber revenue. Those payments, however, run out at the end of 2011, leaving some Oregon counties without half of their general funds for schools, police and libraries. That’s a big liability for the Beaver State, and especially Coos, Curry, Douglas and Josephine counties. Oregon’s biggest industry is now computer electronics manufacturing, four times that of wood products manufacturing. Inspired by the Oregon’s homegrown electronics trigger and oscilloscope manufacturer, Tektronix, Silicon Valley chip maker, Intel, made its first footprint in Oregon in 1974. Wireless technology maker TriQuint, and countless others now define the global high-tech manufacturers in the Portland suburbs. The first phase of a transformation from forests to the so-called Silicon Forest was well under way, and the Angel of Good Fortune was moving out of the woods and into the Portland burbs and overseas. By 2000, manufacturing was still the biggest industry by dollar value, but wood products had eroded to a fraction of computer and electronic manufacturing. Mill-town Oregon was quickly fading. Natural resources in national forests became less resource and more natural. When internationalists tell you that Oregon is closely tied to Asia, that’s half right. What they usually mean is this: Oregon’s exports account for about 10 percent of our gross state product. Those exports are primarily from Intel and mostly chips for computers and smart phones that go to China, but also to Malaysia, Japan and Taiwan. (Canada is now our third largest export market, buying up Oregonmade transportation equipment.) These phones and computers are made in Asia and then sent around the world. Being “closely tied to Asia” means being closely tied to the supplier of global electronics demand. It’s the global demand for phones and computers that has now become the circuitry of Oregon’s economy. 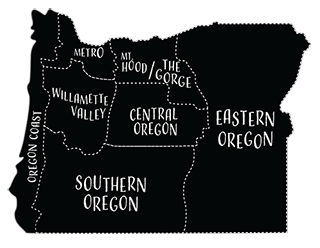 Once-vibrant mill towns from Crescent to John Day to Oakridge are now quiet wards of the state and federal governments. The high-tech Portland burbs are the new sawmills of the state. For those who had the education and lived near Portland, high-tech was the ticket. The industry hit a peak of nearly 70,000 jobs in 2001 but retreated to 54,000 in 2009 as the economy cooled. High wages for high-tech workers in Oregon than offset losses in timber. The Oregon Employment Department forecasts a 3 percent drop for jobs in computer and electronic manufacturing over the next seven years, but a jump in systems designs and software publishing, which could grow 21 and 10 percent respectively. In the near-term, expect more revisions to the Oregon outlook as the latest results from WiserTrade, a firm that collects extensive import/export data, show that Oregon’s exports from January to September 2010 jumped 25 percent over the same period in 2009, albeit a weak 2009. Still that’s a fine gain and one that far outpaced the U.S. export rate. A jump in exports leads to an increase in jobs. More jobs mean more income tax. More income tax means a rosier Oregon general fund. Given that electronics are so vital to the health of Oregon’s Silicon Forest, you can play along at home by tracking holiday demand for electronics, and you’ll have a pretty good facsimile for the single largest part of the Oregon economy. If Asian exports remain strong, increased global demand is the cause, so look for the clouds to lift on the state budget forecast and austerity measures to abate. While jobs in high-tech manufacturing have only recently began recovering with greater exports, a report in December from the Oregon Employment Department boasted of the biggest overall job growth in five years. Professional and business services added 5,000 jobs, leisure and hospitality brought back 3,700 workers; and publishing, film broadcasting and telecommunications added 2,300 jobs. New money, however, is bubbling in the green sector. Perhaps one bright spot in the murky economy has been our foray into sustainable energy and manufacturing. Under governors present and past, Oregon has steadily increased its bet on the green, sustainable economy. Whether or not you’re aware, Oregon taxpayers are betting that Oregon will either evolve into the Gulf Coast of renewable energy production or fall victim to China’s manufacturing machine. Why throw money at alternative energy? Among other items, a report from ECONwest in February 2009 estimated the state’s potential economic costs of global warming to be $3.3 billion per year after 2020.Rebuilding an economy of manufacturers based on a sustainable energy paradigm would be a major coup and an economic transformation that would help supplant timber and diversify Silicon Forest. The Governor’s Office set up an Office of Sustainability, Salem passed a raft of tax incentives and a green jobs growth initiative, and the movement was well under way. The 2009 report from ECONwest, called “Economic Impacts of Energy Tax Credit Programs in 2007 and 2008,” reported that over the twenty-two month period from 2007 to the end of October 2008, Oregonians invested $244.1 million in tax credits to receive $937.1 million in economic benefit, 1,706 jobs and a reduction of 2.4 million tons of carbon dioxide. If their math behind the return on investment is correct, I’ll keep doing my part to subsidize these credits. Oregon defines green jobs as those that help increase energy efficiency, produce renewable energy; prevent, reduce, or mitigate environmental degradation; clean up and restore the natural environment; educate, consult, and provide other services that support these tasks. The state’s own count of green jobs was less aggressive. Between 2004 and 2009, Oregon’s green sector counted 208 new firms supporting 963 jobs at the end of 2009, according to the Oregon Employment Department. All wind, geothermal, wave and sunshine accounted for, the entire green jobs sector accounts for less than 1 percent of all private employment in Oregon. “Green technology is a different matter, especially renewable energy,” OSU’s Emerson said. “This is here to stay, but Oregon’s place in it is an open question. I think the hope is that with manufacturing of whichever technologies become the winners in the race for a real energy solution likely to occur mostly in Asia, Oregon can leverage its proximity and access to those markets to become a center of design and engineering much in the same way we have become a center for the design, engineering and manufacture of highly sensitive electronic parts and chips with Intel. In the lavender room in Southeast Portland, Suzanne again channeled the Angel of Good Fortune. “It looks like there’s something that’s going to come through for water … or waterbased energy,” the cypher said. Shazam! This past summer Columbia Power Technologies, a cutting edge wave power manufacturer working with Oregon State University, earned the country’s first license for a commercial scale wave power project, which it will site off the shore of Reedsport. At the end of November, Columbia was closing a $2 million round of investment led by another angel, the Oregon Angel Fund. I couldn’t resist the easy juxtaposition. ECONwest’s Whelan is less optimistic about Oregon’s role in solar manufacturing—Oregon has no advantage over, say, China—but wave energy, is worth a shot, he said. “We have the ideal situation here for wave energy production off the Oregon coast,” Whelan noted. Scientists across the country agree that waves off the Oregon coast are the perfect combination of strength and consistency. The industry is young, but its potential as a more reliable source than sun and wind is great. The projections are massive since the technology is still in its infancy. Some estimates claim that 10 percent of America’s electricity could come from wave energy. Oregon Wave Energy Trust, a facilitator of the fledgling industry, is at the nexus of that opportunity with public and private funding. Despite Oregon’s niche for wave energy production, state tax incentives have landed largely companies in the more mature solar and wind industry. On the commercial side, Oregon adopted the Business Energy Tax Credit, or BETC, a generous tax credit for green energy generators and manufacturers. The credit is a wide-ranging platform that covers all costs directly related to a project, including equipment cost, engineering and design fees, materials, supplies, installation costs, loan fees and permits. With this carrot, Oregonian taxpayers subsidized the courtship of nextgeneration green companies that fit with our vision as a leader in the sustainable economy. Under BETC, Oregon pulled off a coup of luring German solar cell producer, SolarWorld, to build a 480,000-square-foot plant in Hillsboro. Japanese solar cell parts maker Sanyo Electric broke ground on a 816,000-square-foot factory in Salem in October. Perhaps the biggest coup was enticing the Danish wind energy giant to locate its North American headquarters in Portland in 2002. With Vestas came nearly 400 jobs to a state with the highest unemployment rate in the country at the time. In October, Vestas began a $66 million expansion in Oregon by converting the old Meier & Frank warehouse in Portland’s Pearl District into an ecofriendly headquarters. Of course, it was not for nothing. After federal and Oregon incentives, counties offered discounted land, free buildings, and exemptions on property taxes. The return on investment for Oregon, however, was impressive, but so too was public outcry that the state had initially been sold a low-ball assessment of the program’s cost to tax payers; and the pass-through tax credit allowed targeted renewable companies to resell its tax credits to other entities whose practices seem to all but cancel out the original conservation benefit. BETC was exposed as an immodest schoolgirl who gave away far too much early in a relationship. Government subsidy of business is nothing new. Our federal tax dollars subsidize oil exploration and drilling, we subsidize the U.S. pharmaceutical industry by granting them a virtual monopoly, we subsidize farming of all kinds and we subsidize renewable forms of energy. Only a year before the Oregon Legislature’s vote, hadn’t ECONwest completed an exhaustive study that said for every $2.44 Oregon invested in BETC and RETC, it got back $9.37? Oregon legislators feared public backlash and scurried into a special session to change course, rolling back BETC’s incentives but leaving the program largely intact. Even in its revised incarnation, the BETC program contemplates a $400 million tax subsidy of renewable energy facilities and manufacturing facilities. Brilliant! A small craft microbrewery in Bend, Silver Moon Brewing, increased barrel production by double digits over the past two years. “The creativity and prowess the Northwest brewing community is bringing to craft beer production is amazing and, in my opinion, just getting started,” said Silver Moon owner, Tyler Reichert. 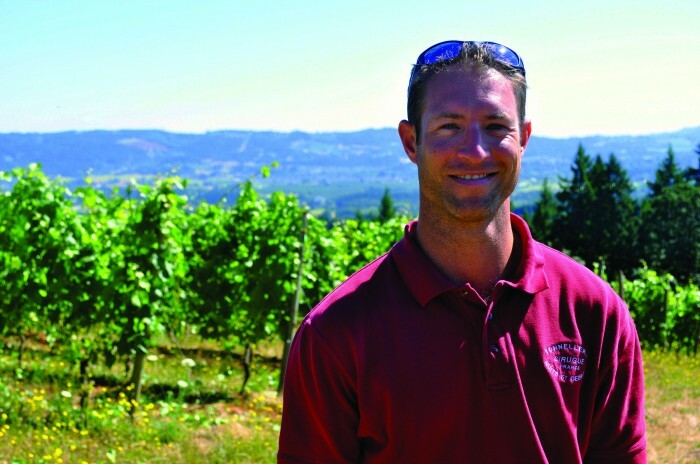 Over the Cascades and into the Willamette Valley, another perennial risk-taker is seeing strong demand for its wines. King Estate Winery is off of I-5 south of Eugene. “We had a pretty great couple of years and finished 2009 up 11 percent, and 2010 has just been phenomenal with 42 percent growth in the first ten months,” said Sasha Kadey, the director of marketing at King Estate. A lot of the growth came from new reasonably priced Pinot gris and Pinot noir called Acrobat. This year, Kadey expects at least 25% growth. Suzanne closed her eyes again and then spoke. “The economy can’t be separated from spirituality from the environment.” I suppose that I’ve believed some version of this but have always thought of it in a less spiritual way. While I’m off I-5 near Eugene, I call on large organic dairy producer, Nancy’s Yogurt. The Kesey family-owned business completed a warehouse expansion and retained its complete workforce this past year while demand “stayed relatively flat,” said Sue Kesey. “In the food business, when you make good food, you have customers who are loyal and will continue to buy your products in good times and in bad.” This year, Nancy’s is eyeing growth of 5 to 7 percent as it continues to research and develop new products. Finally, Code Benders, a Bend-based collection of web application and startup geeks, likely never knew there was a recession unless they were working on an iPhone app called Recession. Tarot cards, the Angel of Good Fortune and her cypher, Suzanne Rollow tell a vastly different story than the one coming from a macroeconomic perspective. Oregon is not, as you may read elsewhere, falling off a cliff. It is innovating, creating and thriving on 1-5’s golden side roads. While working for Hasson, Rain had created a business plan to help seniors downsize their lives as they moved into smaller houses or assisted living. “I’d watch these realtors working with seniors to sell their homes and their families trying to help them, and it was emotionally exhausting,” says Rain. Her senior services business, Legacy Preservation Society, was born. “If you’ve moved, you know how stressful it is,” Rain says. “If your 70, it’s even more stressful.” Knowing little about working with older people, Rain sought a program that would help her chances of success. With baby boomers now entering their mid 60s, aging services is one of the fastest growing industries in Oregon. A new Southern Oregon University master’s in Management of Aging Services, was designed around building businesses for the aging population, from assisted living to new types of housing, to tourism and hospitality. Rain completes much of her work through the program’s online classes. She travels to Medford at least three times a term for classroom instruction and will graduate in June. After graduation, she will continue to build her Legacy Preservation Society as well as work with existing organizations that serve the needs of seniors. In December 2009, with the Hood River County unemployment rate at almost 8 percent and climbing, Tyler Miller, the lead mechanical engineer for a successful aeronautics engineering company in Hood River, quit his job. After seven years, and with his first child on the way, he’d had enough of high-tech. He wanted simple, elegant, placebased work. Building unmanned aircraft for the Department of Defense and other military contractors wasn’t cutting it. 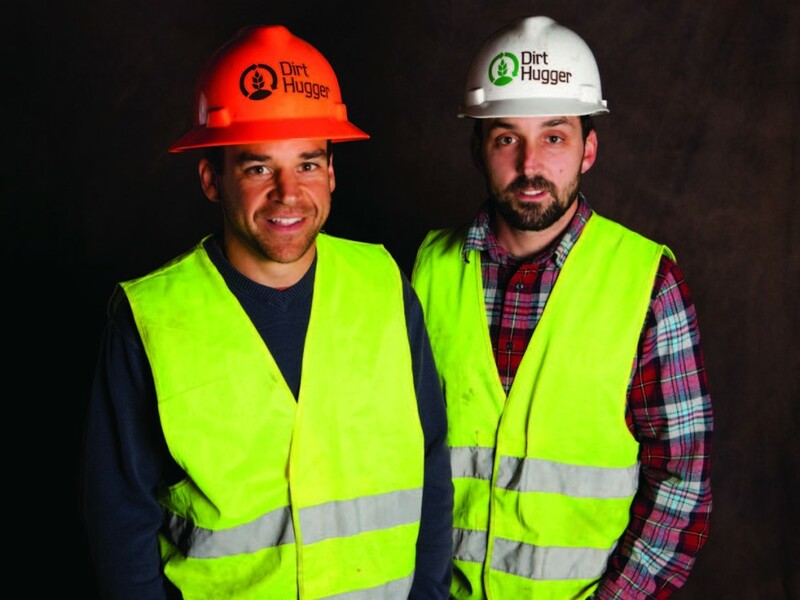 Three months later, Miller and Pierce Louis, another expatriate from the aeronautics industry with an MBA from the University of Oxford, launched Dirt Hugger, a regional composting company serving the western portion of Oregon’s Columbia River Gorge. Miller, 32, began learning everything there was to know about the down and dirty business of building compost. 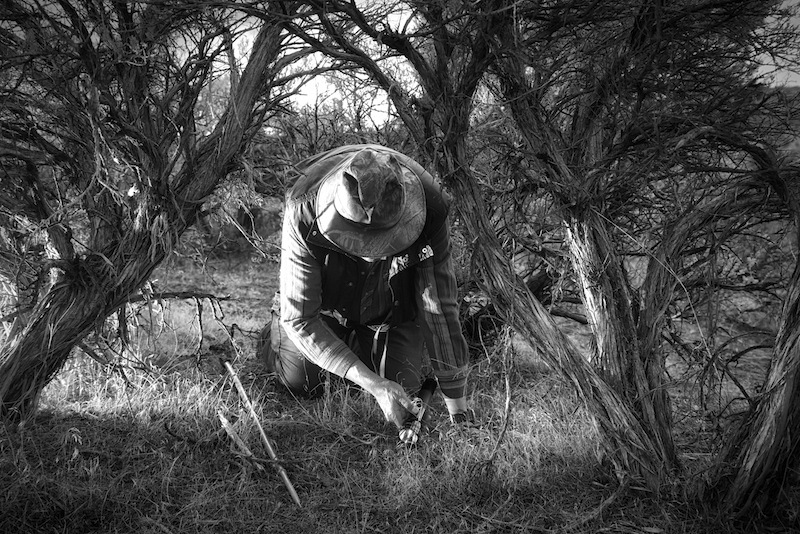 With the notion that it was better to learn, and perhaps fail, on a small scale than at a commercial level, he built three individual compost piles each about eight feet in diameter in his backyard. There he began testing different compost recipes. “I didn’t want to just make compost, I wanted to make the best compost we could to provide nutrients back to the community,” says Miller. Dirt Hugger began accepting solid waste material from private and commercial customers in July 2010. In October 2010, the company began to operate at a profit. Paychecks, however, have not yet been drafted. Bishoff was an emerging foodie but one who was trapped in a purchasing manager position for a machine shop in Sherwood. As the tech industry succumbed to a global retreat, her employer let her go in June 2008. Bishoff knew how to do payroll, but turned to the Small Business Development Center and food industry classes at Portland Community College for help with the rest. Creative in the kitchen, Bishoff brought together all natural ingredients and tasted and tested with family and friends until she had her first grilling sauces, a Cosmopolitan and a Mojito. The Bloody Mary came later. Between lime, cilantro, tomatoes, salt, pepper and horseradish Happy Hour Foods came to be. Word of the Happy Hour’s sweet and savory sauces was on the tongues of many and soon spread to retail outlets such as Thriftways, Kells Pub, Alameda Brewhouse, Seven Brides Brewing in Silverton, World Market Foods, Voodoo Martini and Portland Spirit.